use top-of-the-line spare parts which make it strong and high performance machine as compared to another machines available in the market. Carving bowls from wood in an automated machine. 1) Paper size: 4" to 8"
- Dona Die Size: 4" to 7"
We are offering to our clients superior quality Plastic Cup Forming Machines. 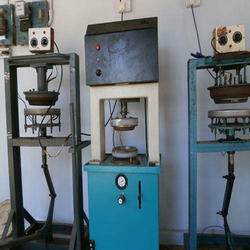 Due to high quality and durability these Plastic Cup Forming Machines are famous amongst its user. These products are available in market at most economical rates.